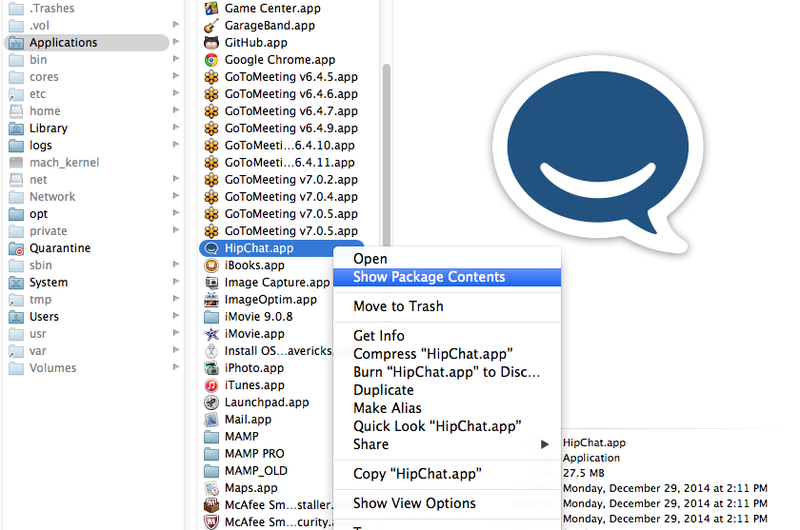 This guide shows you how to change the HipChat notification sound in both Mac and Windows. Presently, the notification sound cannot be changed through either native application. This can be annoying when you have an office full of people using the same sound. 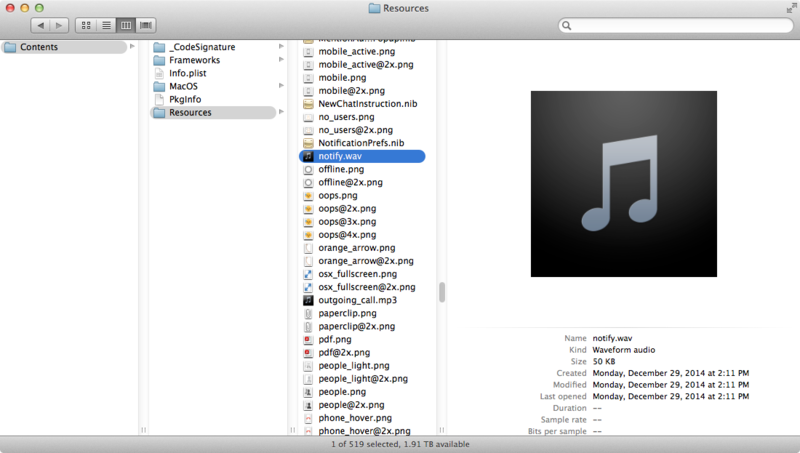 Find an audio file that you'd like to use instead and rename it as notify.wav. Note: the filetype must be .wav. There are tons of free converters you can use to accomplish this. Alternatively, Lifehacker has a pretty sweet set of notification .wavs that you can download for free here. Quit HipChat. Navigate to Applications > HipChat.app. Right-click HipChat.app and select "Show Package Contents". You will now be browsing the contents of HipChat.app. Navigate to Contents > Resources > notify.wav. After you've found your new audio file and renamed it to notify.wav, copy it into that directory, replacing the existing one. Reopen HipChat and you're good to go! Replace notify.wav with your new notify.wav sound file. Reopen HipChat. There is an obvious downside to this approach: each time you update the Hipchat app, your new sound file will be overwritten. Therefore, it's recommended you back up your notify.wav file somewhere else (and bookmark this guide) so that you can repeat this process if need be.